John was a good friend of Majors. See Alvin’s Articles. 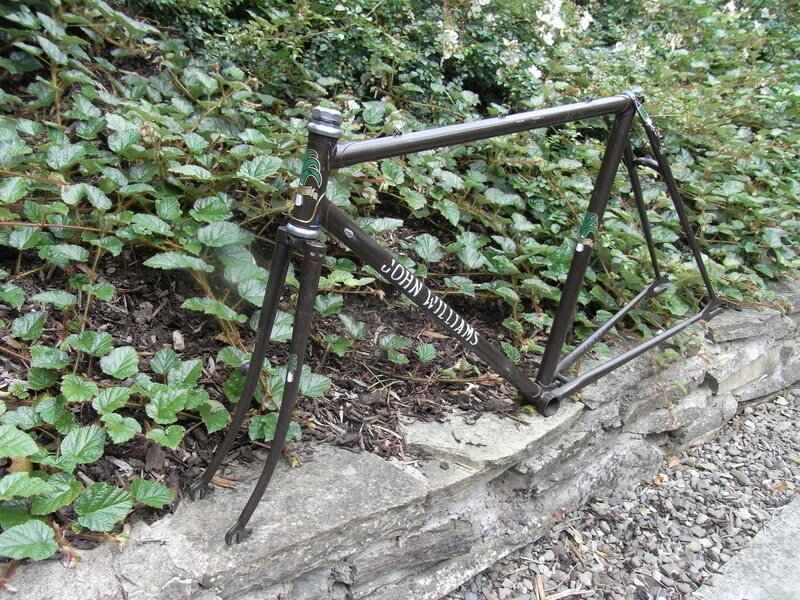 He personally commissioned several frames for himself which he called ‘work-bikes’ This was essentially a Record Road Sprint frame fitted with track ends and round forks on a Zeus Pista fork crown modified (or possibly available drilled and modified) to take a front brake with a reinforced curved rear brake stay bridge. Ideal for the fixed wheel that he used for training and club riding in his own chosen style. Here is a particularly handsome frame in John’s own livery but with Major’s trademark decoration plus John’s leeks on the topeyes that could just be a unique topeye decoration and also gold blue red and white lug lining. John had braze-ons for mudguards and a carrier and top tube top guides for the rear brake. 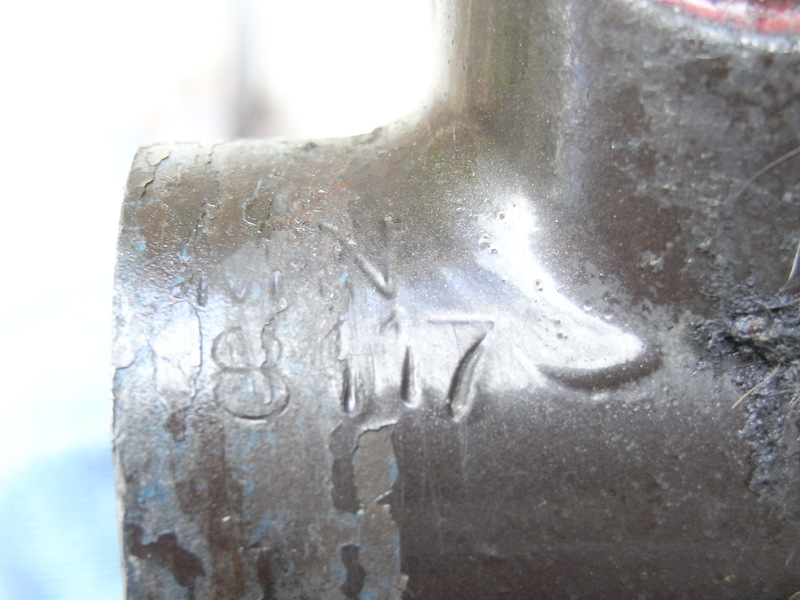 There are some rub marks on the down tube that suggest something else was cabled but that is speculation on my part. 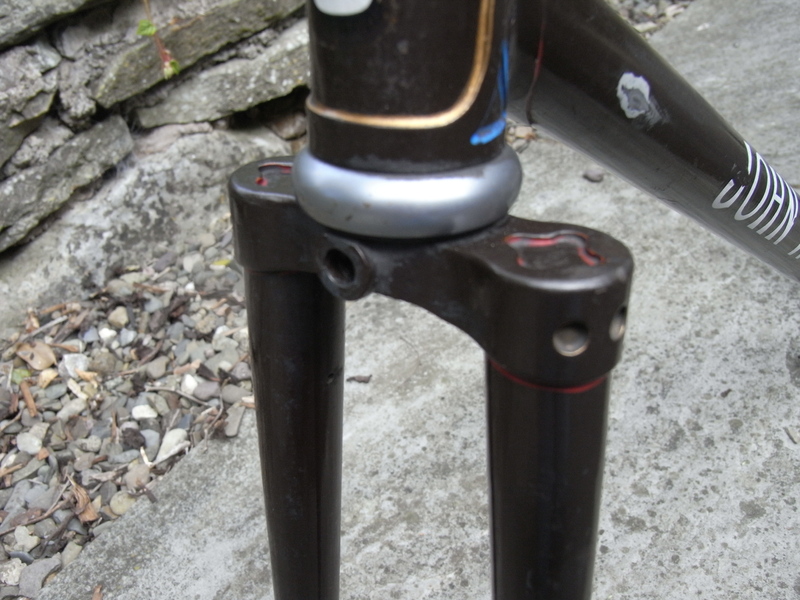 Possibly for a geared set up for touring looking at the chainstay chipping too. John still has a supply of transfers and if you are having one of his bikes refinished, asked nicely, he may part with a set for you.